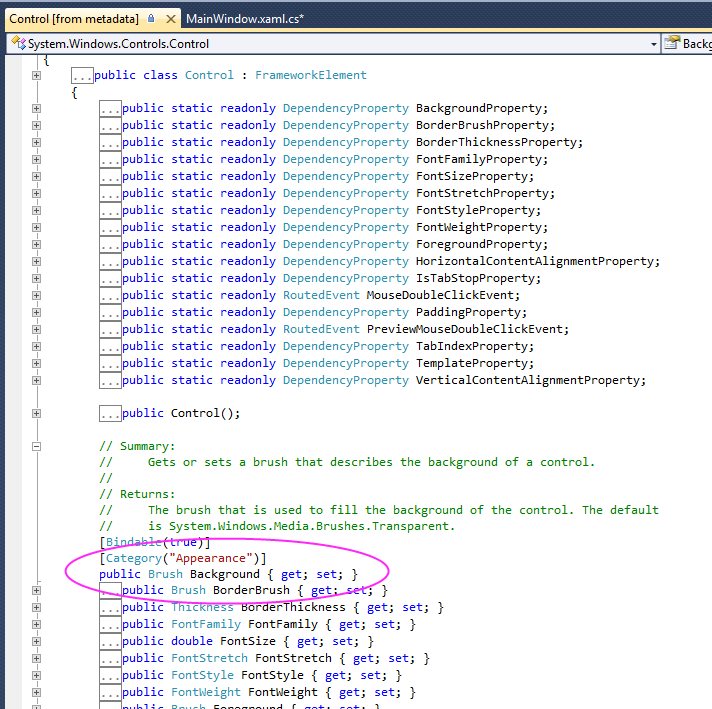 It’s often helpful to get metadata for WPF (or .NET CLR) types that you’re working with. You could use the ILDASM tool to open the DLL containing the type in question, but this requires knowing what DLL the type is located in. 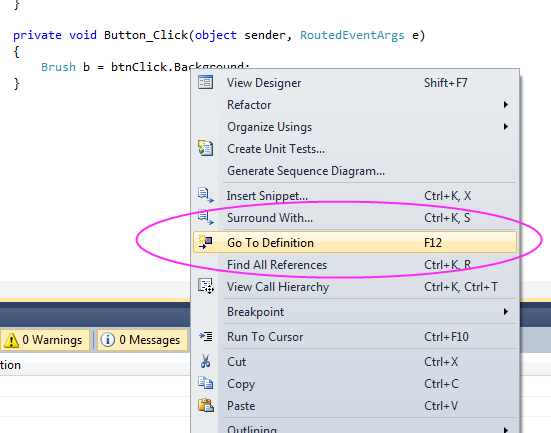 An easier way is to right-click on the type and select Go To Definition. The example below shows doing this for a button’s Background property–we right-click on the Background property. The window that comes up shows metadata for the System.Windows.Controls.Control class because that’s the class from which Button inherits its’ Background property. Note that you can expand on the property to get a description. 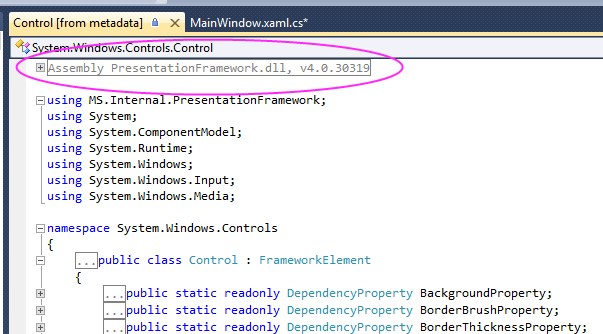 Also note that if you scroll to the top of the window, you can see the parent class (Control) and the assembly that the Control class is located in (PresentationFramework.dll).